OMG Posters! 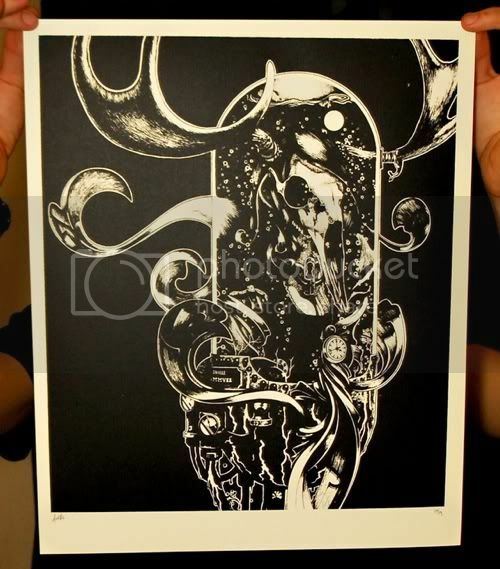 » Archive "Black Pawn" Art Print by Anville - OMG Posters! Anville just released this new art print with a tiny edition. “Black Pawn” is an 11″ x 14″ screenprint, has an edition of 15, and is $45 shipped. There are already only like five of these left, so they will go very fast. To purchase, just shoot him an email. PS, watch for news about the release of Anville’s Isis poster very soon. Great work as usual from Anville. This is going to be an artist to watch. I can’t wait to see what other artprints we get to see this year.